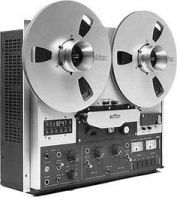 Let Photo Solutions convert your old reel to reel tapes to a CD or digital format. Preserve those memories before the tapes degrade beyond use. Price on a per job basis, based on the amount of tape to convert. Call us at 812.333.1212 or send us a message below for a quote and see how easy and affordable conversion is.